We are excited to welcome Raiha Boyes and Cara Johnston from the Education Review office, here with us at Kindergarten on Monday and Tuesday. 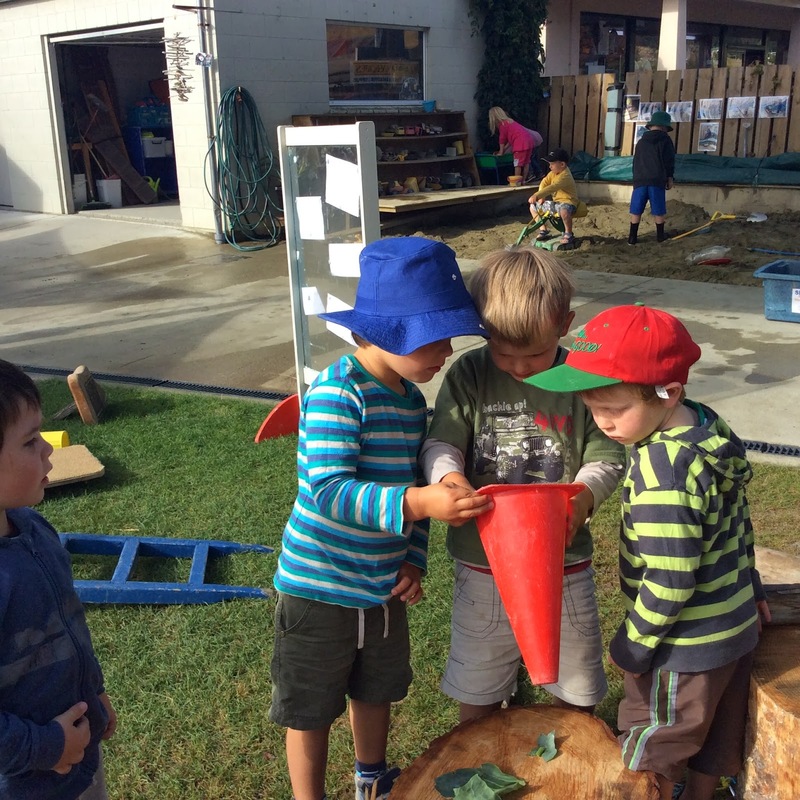 This is a great opportunity to celebrate the highly effective teaching and learning practices we know are occurring at our kindergarten and to receive feed forward for other possibilities . The review is independent so we value the feedback we will receive. So feel free to chat to Raiha and Cara if you see them ,they are very friendly and easy to talk to. Guess Who's coming to Dinner? Or Lunch. Toady the children had a visitor join them for lunch, her manners weren't all that flash but she was enthusiastic and talked quietly. Abigail was very caring and wanted to share her food even though that isn't usually allowed at Kindergarten. We thought that sharing her chocolate finger biscuit was just too generous though! Jake was keen to watch what was happening too. We have been practicing managing our impulsivity. That means we have to work hard to slow down and think about what our actions are going to be next. Sometimes this can be challenging when you are only three or four years old. 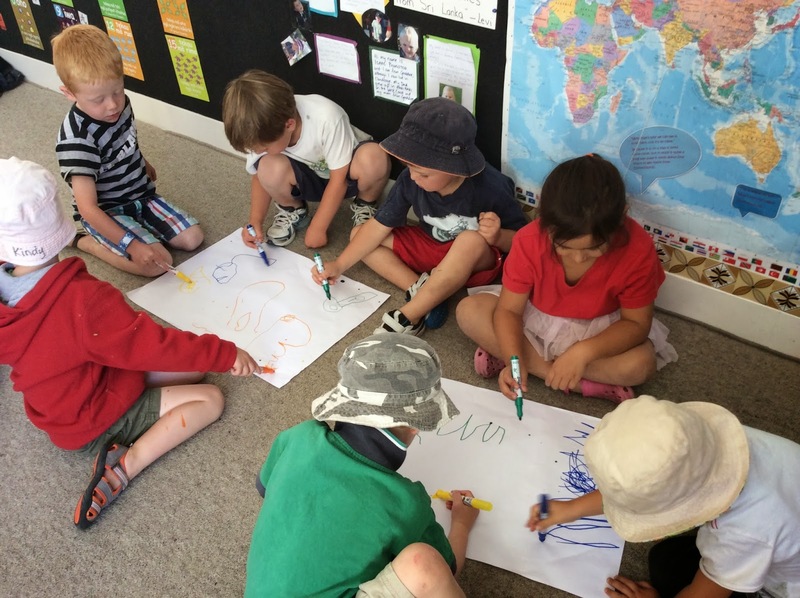 Manaakitanga ie care and respect of one another and our environment , is very important to us at kindergarten. Today we practiced managing our selves by listening to a piece of music composed by Mozart and pretending that we were the conductor with our special pens. Our ears needed to listen to the changes in tempo of the music and then our pen moved in rhythm. He tino auaha tenei, this is very creative! 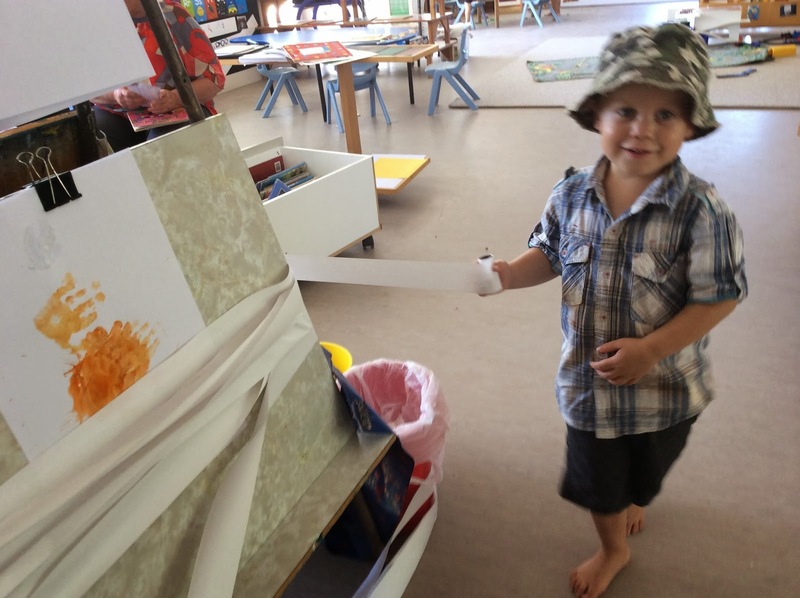 Dylan found a roll of paper and found a unique way to use it at Kindergarten. He walked around the painting easel and round, and round again! The chairs were included too. No matter what the reason, or where the idea came from, Dylan was innovative and very creative and we experienced a moment of wonderment and awe! Making a trail for a snail! 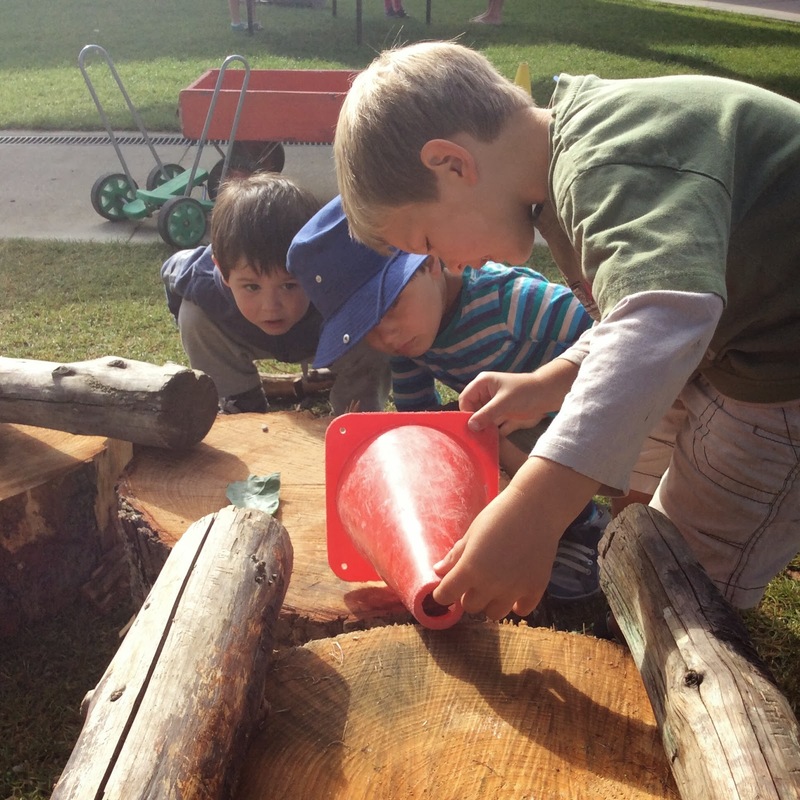 A snail was found and Drew and friends used the logs to make a trail for the snail. Seeing the intense faces of watching the snail was absolutely delightful. The snail was not going to move quickly and there was a large track built around the tree that had lots of ups and downs. 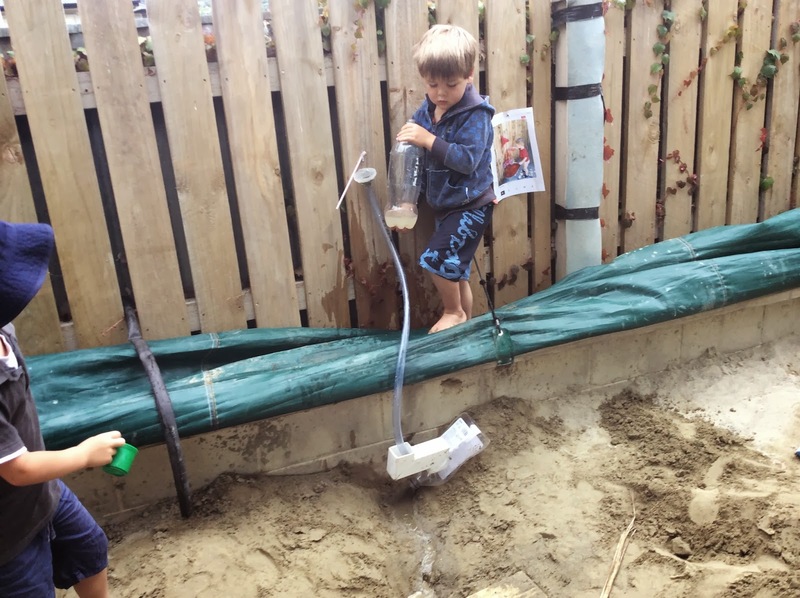 We know the snail will be ever grateful knowing that it was constructed just for him/her in its natural environment! The trike-a-thon notices are in all the children's pockets. This is an annual event and have found it is a great way for all the families to come and meet each other as we head into another year. The Trike-a-thon is on Wednesday 26th March at 5pm. The children will bike around the block first and then we will gather together to have tea. This afternoon Violet had settled into play on the mat and it wasn't long before Billy joined her. Meanwhile Billy was problem solving with the truck and trailer that he had put together, for some reason the load of wood he had placed on the back kept tipping up! Violet giggled "Because the wood is too long!!" Together Violet and Billy worked to build a house. 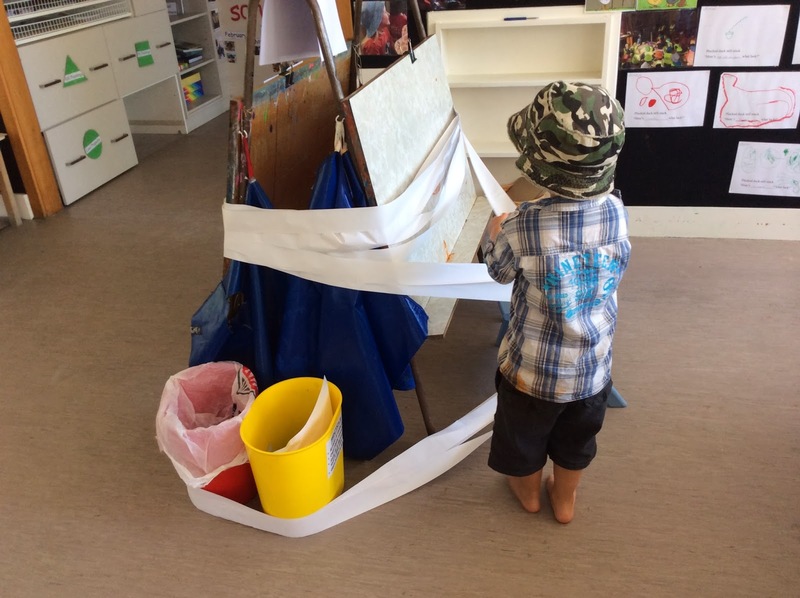 They worked interdependently with Billy loading the truck and driving it over, they would then unload it together. Violet was using taking the lead with the building of the house so she directed where the wood needed to go. "We need to put these pieces here... like this so that it can be the garage" she said to Billy. 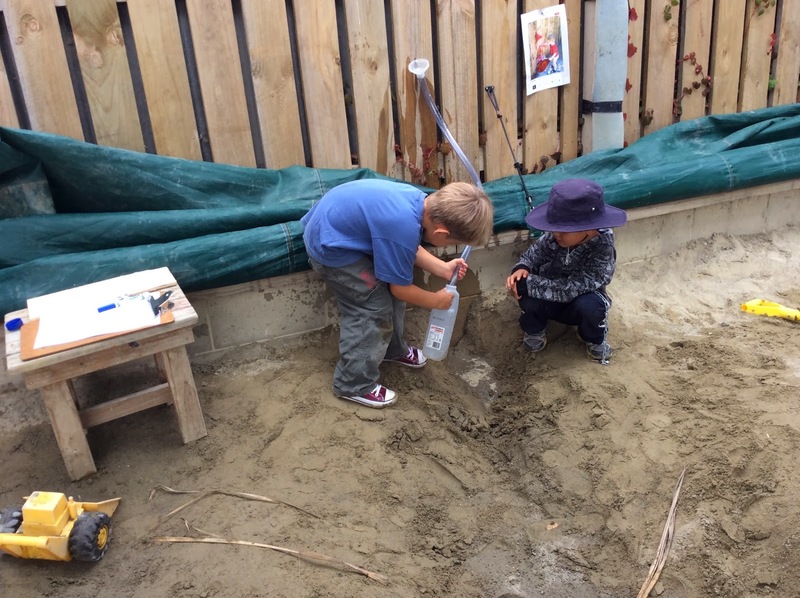 Billy and Violet played together for over an hour building their house. Communicating with each other to share their ideas and help each other out - we call this team work! We know that Violet was using prior knowledge to influence this play from experiences outside of Kindergarten. 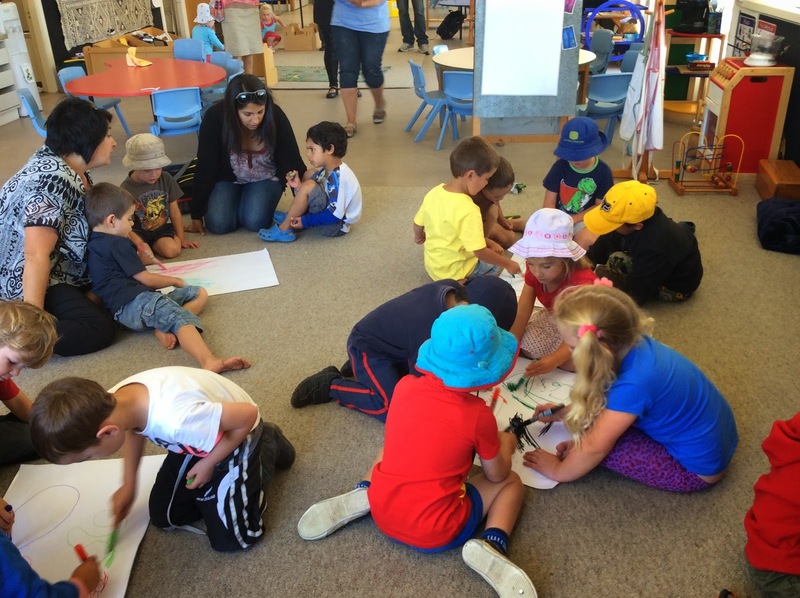 This play shows how whanaungatanga/relationships aid us in achieving success. 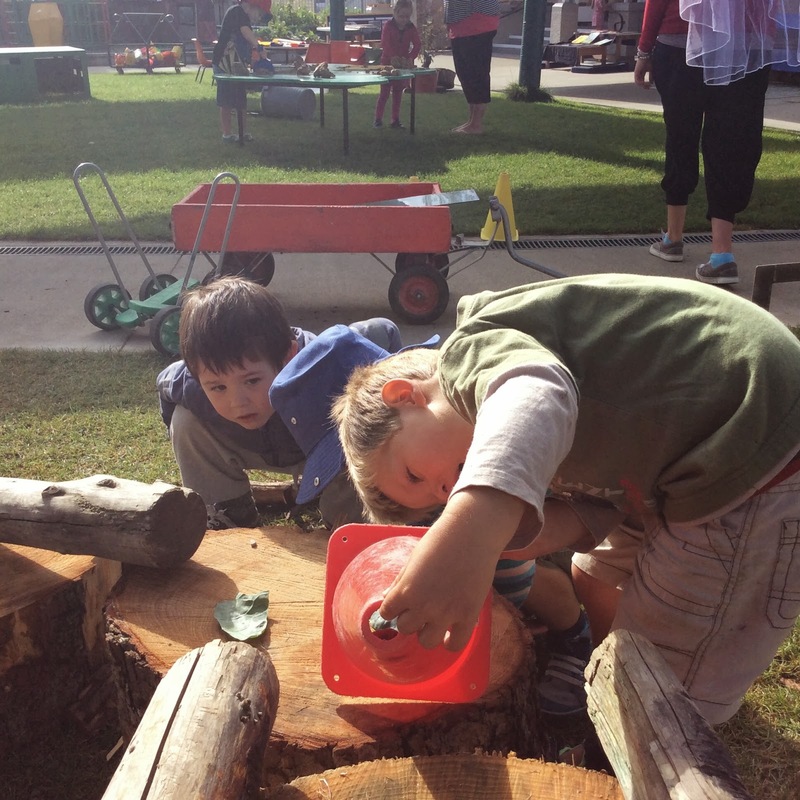 Billy and Violet were actively engaged in respectful play, continuing to work together in a productive and effective way. Children watched with anticipation as the delivery lady arrived this morning carrying a large object covered in a dark blanket! "What is it?" the children all asked. It wasn't just any new toy, it was some handled monkey bars! 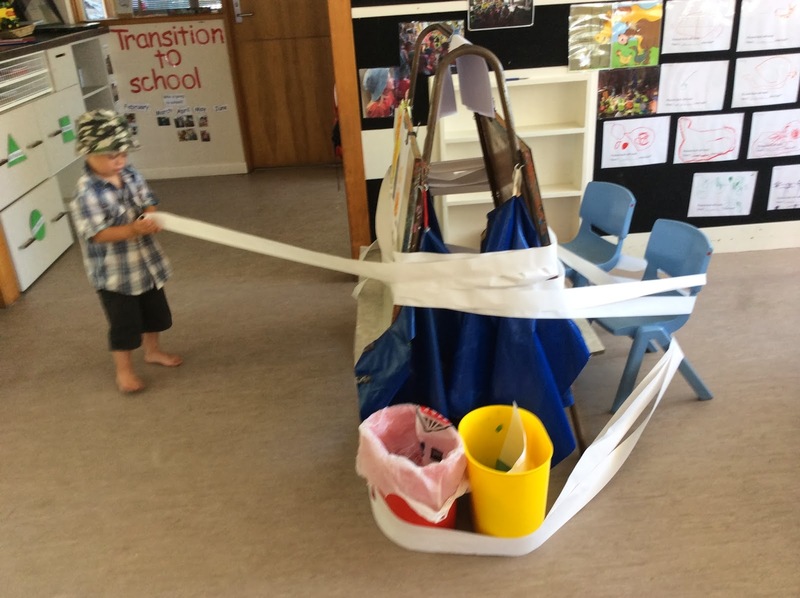 A large group of children lined up as Heather and Gael placed it safely inside the boxes - it was so exciting!! Lilley had the first turn, swinging down off the boxes and making her way across. "I know how to do that" she said after making her way half way across.... "Because my big brother has them at his school!" 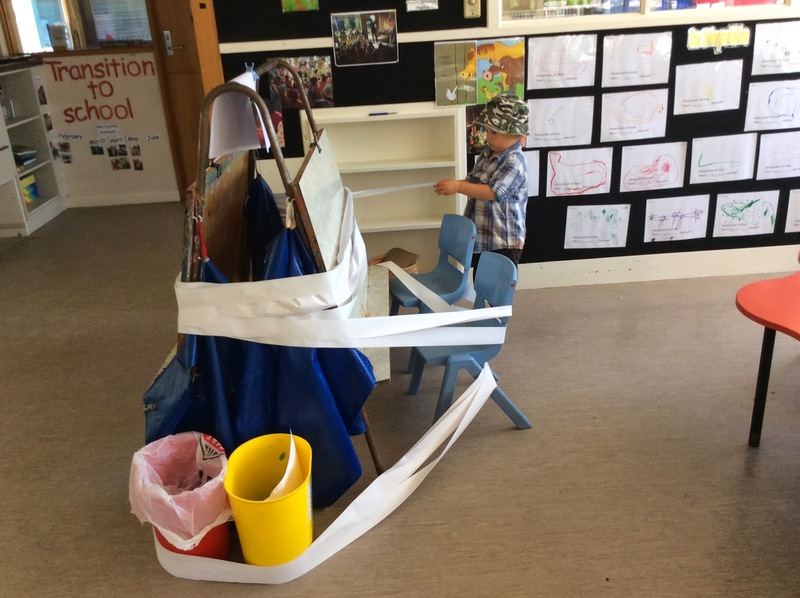 Each child continued to give it a go, and everyone showed their individual abilities as they made it some of the way across, to the first handle or even all the way to the end! Children displayed great amounts of confidence as they gave it a go - all climbing back to the top to have another turn. We heard other waiting in line saying "keep going... you can do it!!". And Riley did do it!! Lets watch together as children take risks together, set goals and persevere with determination to achieve success! Persevere with determination, don't be put off by obstacles! 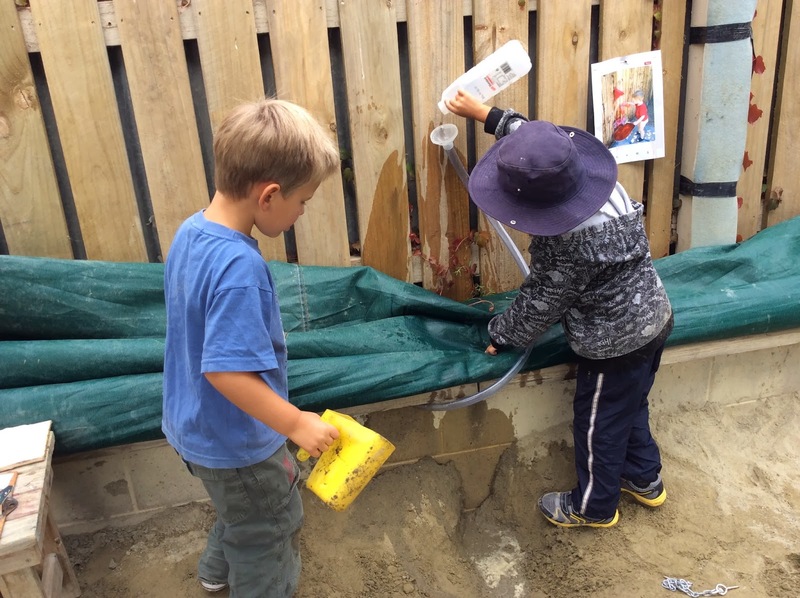 This week the children have been really engaged in water play and how we can enhance our environment to explore different ways to transfer water. 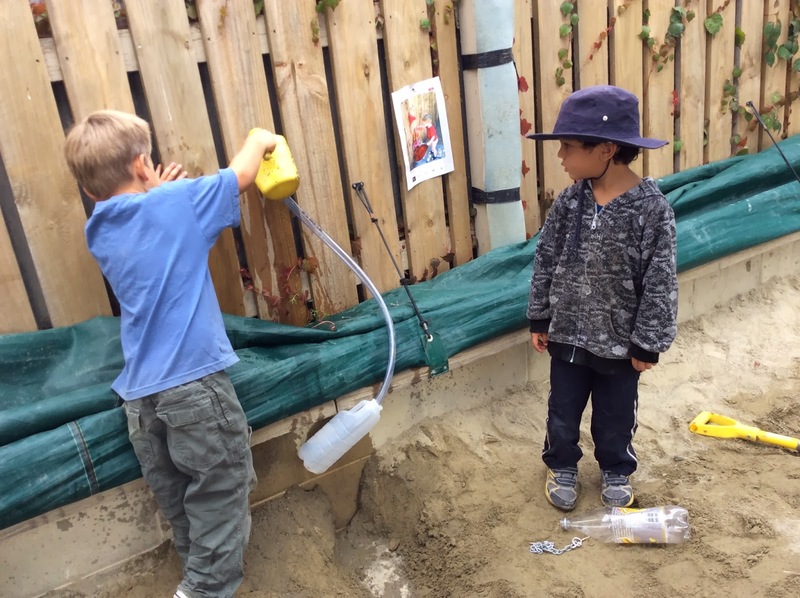 Children looked through the iPad with Louise finding something that they could make to help them explore water, they made a plan and then began to bring different shapes and sized bottles and equipment to achieve their goal. Louise went and got some clear plastic tubing to see what would happen. Watch this space and see where the children take it next!